The Gay Gamer: I'm not sure if this should be a congratulatory post or an RIP post--regardless, happy 63rd anniversary, Taito! I'm not sure if this should be a congratulatory post or an RIP post--regardless, happy 63rd anniversary, Taito! I haven't always been the Taito fan I am today. Oh, sure, I liked Arkanoid and Space Invaders well enough when I was a kid, and of course I loved (and continue to love) Bubble Bobble, too, but that's about where my knowledge of and interest in this Tokyo-based company began and ended until a few years ago. What changed and when? To be completely honest, I'm not sure. The best answer I can come up with at the moment is that my perception and appreciation of Taito--which first opened its doors on Aug. 24, 1953--changed slowly over time. 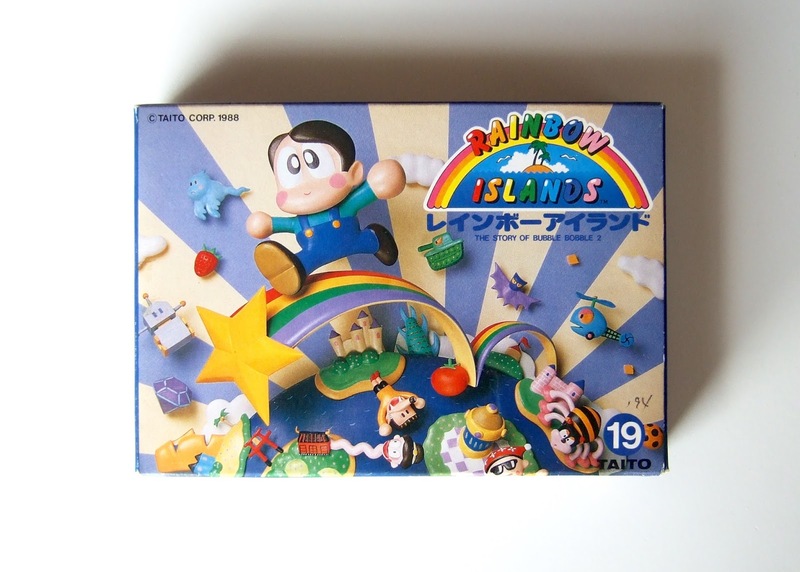 If I were to guess, I'd say this evolution (of sorts) began when my adoration of the game-maker's Bubble Bobble pushed me to give follow-ups Rainbow Islands and Parasol Stars a second (or even third) look. Neither platformer impressed me when I first played them earlier in life, but revisiting them with fresh eyes and a clear mind prompted a nearly instantaneous change of heart. 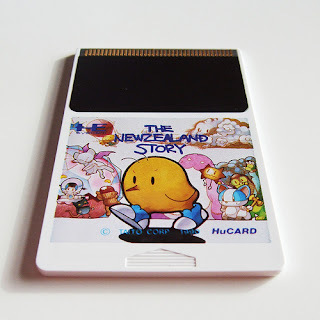 The same could be said of Taito titles like Don Doko Don, KiKi KaiKai, Mizubaku Daibouken (aka Liquid Kids) and The New Zealand Story. As much as I wanted all of these games to bowl me over during my initial experiences with them, none succeeded for one reason or another. After that, I actively searched for similar Taito releases I skipped over during the time in my life when I was idiotically unaware of the company's brilliance. That bit of legwork turned me on to titles like Chack'n Pop, Chuka Taisen, Hana Taaka Daka! ?, Insector X, Jigoku Meguri, JuJu Densetsu and The Fairyland Story. I also loosened up and gave some of the portable versions of these games a spin. Previously, I turned up my nose at most of them because they either lacked color--the idea of playing Bubble Bobble on the original GameBoy horrified me at the time--or they just seemed too watered down to be worth my while. Imagine my shock, then, when I found many of Taito's on-the-go ports to be surprisingly well made, not to mention enjoyable. 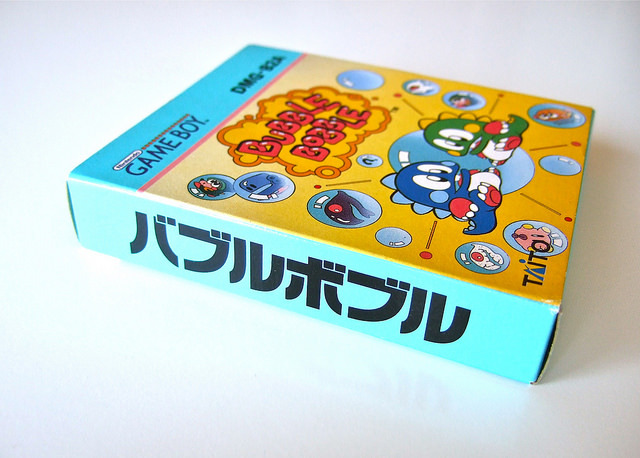 A few cases in point: Bubble Bobble for Game Gear, Bubble Bobble Junior for GameBoy and Puzzle Bobble for Game Gear. 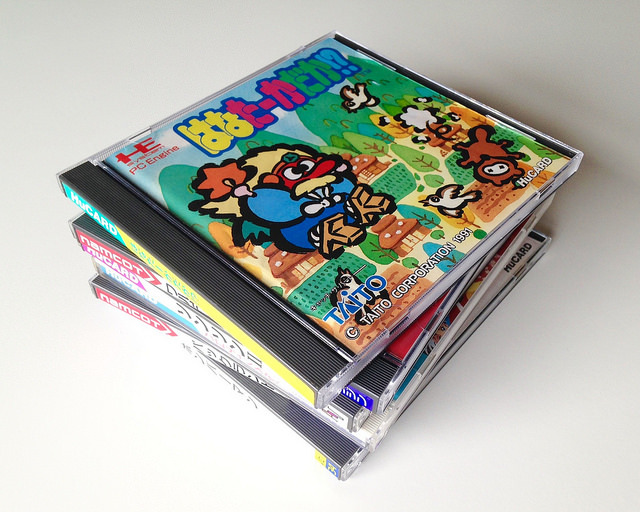 What makes all of these Taito-made games so great? Their graphics and soundtracks are the obvious replies, but they're really only the tip of the iceberg. They draw you in, but if the gameplay that supports those superficial aspects was anything but stellar, most people would walk away after plodding through a few stages. That's the component that keeps me coming back to Taito's best creations, at least. Every single title mentioned so far controls like a dream. And not only that, but most of them simply are a blast to play. To get a feel for what I mean, go play a couple of rounds of Bubble Bobble, Rainbow Islands, Parasol Stars or Mizubaku Daibouken. Despite the challenge that's at the core of each of these games, the component that's likely to stand out for most folks is how fun it is to blow and pop bubbles (Bubble Bobble), conjure up and leap onto rainbows (Rainbow Islands) and send a torrent of water crashing into a mob of stunned enemies (both Parasol Stars and Mizubaku Daibouken). That's the kind of magic Taito's designers and developers produced during the company's heyday, and that's why I'm doing my best to (belatedly) honor them today. I'd highly recommend you do the same if you've got the interest, means and time, as there's no doubt in my mind that your life will be made richer for putting even a few minutes into some of the games discussed here.